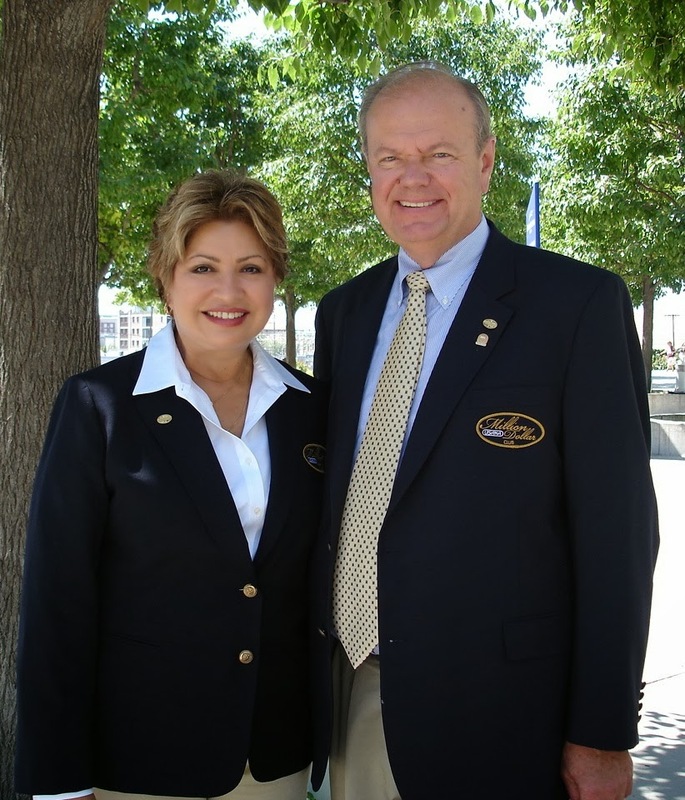 SALT LAKE CITY, Feb. 27, 2014 /PRNewswire/ -- A leader in nutrition and now a leader in Winter Games gold, USANA Health Sciences, Inc. (NYSE: USNA) congratulates all of its sponsored athletes on their remarkable feats in Sochi. If @TeamUSANA was a country, it would have placed second in the overall medal standings with a record 30 podium appearances—13 gold, 7 silver and 10 bronze—and tied with Russia for the most gold hardware of the Games. USANA's sponsored athletes set the bar high for future competitions, marking their places in history in nearly 10 events, including four inaugural Winter Games competitions. "Hundreds of athletes trust their health to USANA and this medal count shows why," said USANA Chief Communications Officer Dan Macuga. "To finish second overall is astounding and we couldn't be more proud of all of our Team USANA athletes on their performances in Sochi." USANA Brand Ambassador Meaghan Mikkelson-Reid secured Winter gold for the second consecutive time after Canada's women's hockey team defeated the USA, 3-2 in overtime. The U.S. 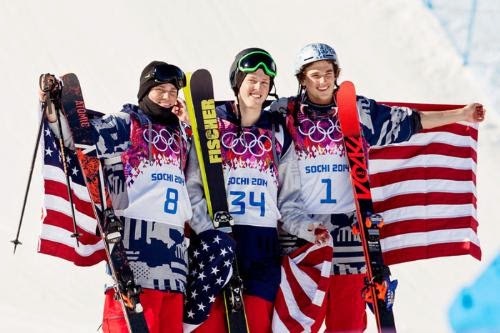 Ski and Snowboard Association scored 17 medals (record 8 gold, 3 silver and 6 bronze) during the Games, including historical gold for both men and women, in the inaugural ski halfpipe and slopestyle snowboarding events. U.S. Speedskating short track athletes J.R. Celski, Eddy Alvarez, Chris Creveling and Jordan Malone took home the team's only medal of the Games, capturing silver in the 5000m relay. Erin Hamlin of USA Luge secured bronze in the women's single event, becoming the first American luger to medal at any Winter Games. Speed Skating Canada captured 1 gold, 2 silver and 2 bronze medals during the Games, two of which were earned by long tracker Denny Morrison. Five USANA-sponsored athletes of South Korea's Speed Skating and Short Track teams secured five medals during the Games, three of which were won by Park Seung-hi in the 1000m, 3000m Relay and 500m. U.S. Women's Ski Jumping's Jessica Jerome, Lindsey Van and Brand Ambassador Sarah Hendrickson competed in the Winter Game debut of women's ski jumping, placing 10th, 15th and 21st respectively. A new study shows that high doses of vitamin D supplementation in African American adults may be needed to meet even minimal recommended blood levels. The African American population is known to have higher rates of cardiovascular disease and cancer than other American adults. It has been proposed that this may be due in part to lower circulating vitamin D levels in this population. 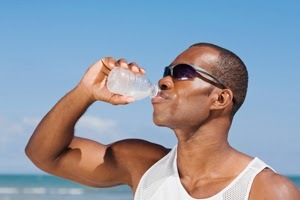 In a recent study published in the American Journal of Clinical Nutrition, researchers sought to determine the dose-response relation between vitamin D supplementation and subsequent blood levels of vitamin D.
The study was conducted in Boston, MA and included 328 African American adults who were enrolled over three winters from 2007 to 2010. Participants were randomly assigned to one of four supplement groups taking either a placebo or 1,000 IU, 2000 IU, or 4000 IU of vitamin D daily. Diet history and socioeconomic information was collected from all subjects, and blood samples were collected at the beginning and again at 3 and 6 months. At the beginning of the study, the average vitamin D level of each group was below the levels recommended by the Institute of Medicine (20ng/mL). After three months of supplementation the vitamin D level in the placebo group fell from 15.1ng/mL to 13.7 ng/mL, while the groups supplemented with 1,000 IU, 2,000 IU and 4,000 IU rose to 29.7 ng/mL, 34.8 ng/mL and 45.9 ng/mL respectively. The dose required to increase blood vitamin D levels to 20ng/mL in more than 97.5% of the subjects was estimated to be 1,640 IU. 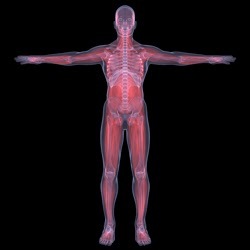 Supplementation with 4,000 IU was needed to reach vitamin D levels of at least 33 ng/mL in more than 80% of the subjects. In this study of African American adults, supplementation with 4,000 IU per day was needed to achieve vitamin D concentrations shown in observational studies to reduce the risk of cancer and cardiovascular disease. High risk populations living in Northern climates should be encouraged to discuss vitamin D supplementation with their health care professional. Kimmie Ng et al. Dose response to vitamin D supplementation in African Americans: results of a 4-arm, randomized, placebo-controlled trial. Am J Clin Nutr March 2014 vol. 99 no. 3 587-598. Every four years the world is given the gift of the Olympics. For a few weeks nations lay down their arms and come together to let their world class athletes compete on a level playing field to see who the best is in the many events. It boggles the mind what these young men and women can accomplish with their bodies—great feats of skill and determination bring them to the pinnacle of athletic achievement. Incredible. As I think about what it takes to become a world class athlete capable of competing at the Olympic level, I realize that there are some foundational lessons for all of us to learn as it relates to becoming world class in whatever we set our hands to. The secret of how these athletes became world class is found in the combination of two fundamental ideas: desire and dedication. We all know people who dream of big things but never accomplish those dreams, don't we? Why is that? After all, they have desire. They want it. But the engine that drives the dream is dedication. Desire tells you what you want, while dedication is what will get it for you. There are three parts to desire: 1. Dreaming, 2.The Vision and 3. Focus. First, is dreaming. Have you let yourself dream lately? Just sit down and begin to imagine all of the incredible possibilities your life could become? Spend some time just dreaming. Next is the vision. Once you dream, you begin to cut back on all of the possibilities and narrow it to what possibility it is that you really want. You begin to create a vision for your life. You begin to see it as you want it. Lastly under desire is focus. Once you have the vision, you have to really focus in on that dream. This is where you get really specific about what your life is going to look like. There are also three parts for dedication: 1. The Plan, 2. Beginning and 3. Perseverance. First is the plan. Without a plan you will drift to and fro. You will certainly not carry out your dream if you do not have a plan. So write it down. Set your goals. Know what you want and how you are going to get there. Second is the beginning. This may sound simple and yet it is simply profound. Many people have a dream and they even have a plan, but they never begin. So simple: just start. The first step on the long journey is still just one step. If you have a dream and a plan, take a step in the right direction. Lastly is to persevere. Every road to every dream has a section that is hard to travel. Every great dream will encounter difficulty. The question isn't whether or not you will encounter trouble but how you will respond to trouble. Will you quit when the going gets tough or will you persevere? I have found that every successful person I know, myself included, has encountered problems along the way that tempted them to quit. Yet they persevered and achieved their dream. Let's take a look at the progression. As you do, think about where you are in the progression of becoming a world class dream pursuer. Friends, I hope for you the fulfillment of every dream that you have. That is what life is about isn't it? But to do so, I know that you will have to combine your desire with good old dedication. And when you combine those two, you will be well on your way to leading a world class life! No one else "makes us angry." 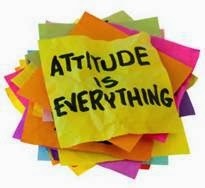 We make ourselves angry when we surrender control of our attitude. What someone else may have done is irrelevant. We choose, not them. They merely put our attitude to a test. If we select a volatile attitude by becoming hostile, angry, jealous or suspicious, then we have failed the test. If we condemn ourselves by believing that we are unworthy, then again, we have failed the test. The results of a new meta-analysis shows that long-term supplementation with omega-3s reduce blood markers of inflammation and may reduce the risk of chronic inflammatory-related diseases. Inflammation is known to play a role in numerous chronic diseases such as diabetes, cardiovascular disease (CVD), obesity-related diseases, rheumatoid arthritis and other autoimmune diseases. Omega-3 fatty acids have often been linked to benefits regarding these conditions, likely due to their anti-inflammatory function. In a recent meta-analysis published in the online journal PLoS One, scientists reviewed the literature to determine the effect of marine-derived omega-3s on blood levels of several markers of inflammation. The meta-analysis included 4,601 participants from 68 randomized, controlled trials of healthy subjects, subjects with chronic autoimmune diseases, and subjects with chronic non-autoimmune diseases (ie. cardiovascular disease). Fasting blood levels of the inflammatory markers TNF-a (tumor necrosis factor-alpha), IL-6 (interleukin-6) and CRP (C-reactive protein) were compiled and analyzed. Researchers also separated studies using omega-3s from supplementation as active treatment with those using omega-3s from dietary intake (fish) and included them into different meta-analyses. The results of this study confirm that long-term supplementation of omega-3s from fish oil can effectively lower inflammatory markers and may help reduce the risk of chronic inflammation. Research on omega-3 fatty acid levels in women during late pregnancy reveal a connection between low omega-3 intake during pregnancy and higher risk of postpartum depression. Postpartum depression is a relatively common disorder that can lead to unhealthy early mother-infant interaction and potentially poor early childhood development. It is estimated that the disorder may affect as many as 10-15% of women in the first three months after birth. Several previous studies have looked at the possible connection between seafood intake and the incidence of postpartum depression. In a study published online in Plos One, researchers sought to determine whether a low maternal omega-3 index in late pregnancy was associated with higher levels of postpartum depressive symptoms. The omega-3 index is a measurement of the omega-3 fats EPA and DHA in red blood cells, expressed as a percentage of total fatty acids. The study group included 72 Norwegian women who were pregnant between November 2009 and June 2011. At 28 weeks of pregnancy, blood samples were taken from the mothers to determine the fatty acids status. At the well baby check-up 3 months postpartum, a regional version of the Edinburgh Postnatal Depression Scale (EPDS) was used to determine the level of depressive symptoms in the mothers. The women with a lower omega-3 index had a higher level of depressive symptoms three months after pregnancy. When analyzing %DHA alone, the association was even more significant. In addition to the omega-3 index and DHA content, other measures such as the omega-3/omega-6 ratio were also inversely correlated to higher depressive symptoms. The reported dietary and supplemental intake of fish was highly correlated to the measured omega-3 index. Since a low omega-3 index during pregnancy may be associated with a higher rate of depression symptoms after childbirth, increasing seafood or omega-3 supplement intake during and after pregnancy should be encouraged, especially in those that eat little to no seafood. The researchers also suggest that larger and more powerful intervention studies should be completed, since there are currently no established reference values for fatty acid status in pregnant or lactating women. 1. Collect good ideas. My mentor taught me to keep a journal when I was 25 years old. I've been doing it now all these years. They will be passed on to my children and my grandchildren. If you hear a good health idea, capture it, write it down. Don't trust your memory. Then on a cold wintry evening, go back through your journal, the ideas that changed your life, the ideas that saved your marriage, the ideas that bailed you out of bankruptcy, the ideas that helped you become successful, the ideas that made you millions. What a good review. Going back over the collection of ideas that you gathered over the years. So be a collector of good ideas for your business, for your relationships, for your future. 2. Have good plans. Have a good plan for the day, a good plan for the future, a good health plan, a good plan for your marriage. Building anything is like building a house—you need to have a plan. Now here is a good time management question: When should you start the day? Answer: As soon as you have it finished. It is like building a house, building a life. What if you just started laying bricks and somebody asks, "What are you building?" and you say, "I have no idea." Don’t start the house until you finish it. Now, is it possible to finish the house before you start it? Yes, but it would be foolish to start before you had it finished. Not a bad time management idea. Don't start the day until it is pretty well finished—at least the outline of the day. Leave some room to improvise. Leave some room for extra strategies, but finish it before you start it. And finally the big one, don't start the year until it is finished on paper. It's not a bad idea, toward the end of the year, to sit down with your family for the family structure plans, sit down in your business for the business plans, sit down with your financial advisor for your investments and map out the year... properties to buy, properties to sell, places to go with your family, lay out the year. 3. Learn to handle the passing of time. It takes time to build a career, it takes time to make changes, so give your project time, give your people time. If you're working with people, give them time to learn, grow, change, develop, produce. And here is the big one... give yourself time. It takes time to master something new. It takes time to make altered changes and refinement in philosophy as well as activity. Give yourself time to learn, time to get it, time to start some momentum, time to finally achieve. 4. Learn to solve problems, business problems, family problems, financial problems, emotional –challenges for us all. Here's the best way to treat a problem: as an opportunity to grow. Change if you have to, modify if you must, discard an old philosophy that wasn't working well for a new one. The best phrase my mentor ever gave me was when he said, "Mr. Rohn, if you will change, everything will change for you." Wow, I took that to heart, and sure enough the more I changed the more everything changed for me. Surveys have always fascinated me... Ask a few hundred people how they feel about this or that, and you can presumably understand the mindset of an entire nation! Indeed, polls are conducted daily to determine how we feel about politics, why we purchase certain products, and even what we watch—or don't watch—on TV. All of this sampling got me thinking one day about the Network Marketing business we're in... For example, if you were to survey those already in the business, what would you ask them? What insights should they provide? And could any of this gleaned information be valuable to you? Years ago I discovered that those who are deemed to be Masters in this "Networking thing" understand three simple truths about the business. Although you might hear these truths expressed somewhat differently from leader to leader, the underlying facts remain the same. For purposes of our discussion, we'll refer to these truisms as, "Network Marketing's Three Rules of Three." a) Finding People to talk to—Prospecting. b) Talking to the people you find—Presentation. c) Teaching others to do the same—Duplication. a) Some people decide to join—Some Will. b) Some people decide not to join—Some Won't. If it's true that in order to grow the organization, we need to contact people, involve them and teach them—and we do... If it's true that Some Will, Some Won't, and So What are all good things—and they are... And if we really need to be working on ourselves—our personal development—more than we work on the business... Well then, what could possibly be this simple shortcut to success? To find the answer, conduct your own personal poll. 1) How were you introduced to the business—audio recording, video presentation, or through some event? 2) How would you describe the skill-set of the person who sponsored you? 3) Once you were introduced to the company, how long did it take to decide you wanted to do this business? Question #1 could easily provide you with 25 different answers, especially if you ask which audio recording, video presentation, or event they attended. Question #2 again, will probably provide a plethora of answers from talented to tolerable to terrible. Question #3 however, is the all-important key to your survey. Because what the answers to this third question will reveal, are that leaders who make the most money in our industry—regardless of how they were introduced, and regardless of by whom—for some unexplained reason they "got it" and they "got in" right away... Those who build the largest organizations—same thing—they "got it" and they "got in" right away. 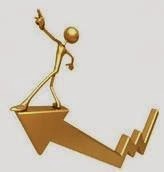 And best of all (pay close attention here, because this is your simple shortcut to success) those you have yet to meet, those unnamed individuals destined to become leaders, they'll "get it" and "get in" right away too—almost regardless of what you know, say, and do—if you will just expose them to your business! Imagine that! 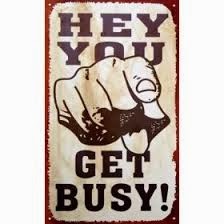 Activity matters most! The beauty of this overlooked shortcut to success is knowing that in the beginning what you lack in skill, you can actually make up for with activity! Combine that belief with a proven MLM system for contacting new prospects, and your company's next great "Triple Diamond Star Fleet Commander" could easily be sponsored by you—again, regardless of your current level of expertise! 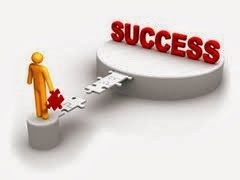 Therefore, if you truly desire to prosper long-term in this business, immediately begin to weave the golden thread of activity throughout your business tapestry—known to all successful leaders as "Network Marketing's Three Rules of Three"—and not only will you have an excellent chance of sponsoring that next mega superstar—you'll be able to keep them. A new study has found that higher omega-3 blood levels are associated with a larger overall brain volume in elderly women. 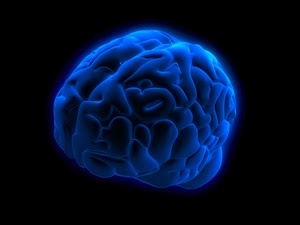 Normal aging results in overall brain atrophy, or shrinkage. In a new study published online in the journal Neurology, scientists looked at the possible association between higher levels omega-3 fatty acids and greater brain volume in aging adults. 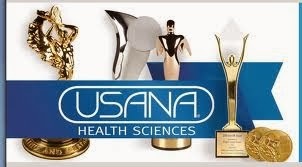 SALT LAKE CITY -- (BUSINESS WIRE) -- Feb. 4, 2014 -- USANA Health Sciences, Inc. (NYSE: USNA) today announced financial results for its fiscal fourth quarter and full-year ended December 28, 2013. The Company also provided net sales and earnings guidance for 2014. For the fourth quarter of 2013, net sales increased by 10.5% to $186.3 million, compared with $168.5 million in the prior-year period. The Company’s Asia Pacific and North America/Europe regions both reported sales and customer growth for the quarter. This growth was driven by the successful adoption of the initiatives launched at the Company’s 2013 International Convention held in August. The initiatives, which are designed to promote long-term sustainable customer growth, provide customers with opportunities for preferred pricing and additional compensation under the Company’s Associate compensation plan. Unfavorable changes in currency exchange rates reduced net sales in the quarter by $2.9 million. Net earnings for the fourth quarter increased to $20.3 million, a 9.9% improvement, compared with the prior-year period. This increase was driven by higher net sales, lower relative selling, general and administrative expense, and a lower effective tax rate. The 29.8% effective tax rate for the fourth quarter was 470 basis points lower than the fourth quarter of 2012 due primarily to benefits from a Utah state tax policy election change recognized in the fourth quarter of 2013. These benefits were partially offset by lower gross margins and higher Associate Incentives expense, which are also attributable to initiatives launched at the 2013 convention. Earnings per share for the quarter increased by 11% to $1.41 compared with $1.27 in the fourth quarter of the prior year. The growth in earnings per share was attributable to higher net earnings. Weighted average diluted shares outstanding were 14.4 million in the fourth quarter of 2013 compared with 14.5 million in the prior-year period. Net sales in the Asia Pacific region increased by 13.0% to $121.8 million, compared with $107.8 million for the fourth quarter of the prior year. This improvement was due primarily to sales growth in the Greater China and Southeast Asia Pacific regions with China and Singapore experiencing the most meaningful growth. Although USANA generated nearly 15% sales growth in the Greater China region, top line results were impacted negatively by lower sales in Hong Kong. Net sales in North America/Europe increased by 6.1% to $64.5 million, compared with $60.7 million in the prior-year period. Every market in the region achieved top line growth, with Mexico and Canada experiencing the largest increases. For the year ended December 28, 2013, net sales increased by 10.7% to $718.2 million, compared with $648.7 million in the prior year. The Company’s Asia Pacific and North America/Europe regions both reported growth for the year. Net sales for the full-year were negatively impacted by $2.8 million due to changes in currency exchange rates. Net earnings for 2013 increased by 19.0% to $79.0 million, or $5.56 per share, compared with $4.45 per share in the prior year. The increase in net earnings was due primarily to higher net sales and lower relative operating expenses. Weighted average diluted shares outstanding were 14.2 million at fiscal year-end 2013, compared with 14.9 in the prior-year period. Cash generated from operations totaled $99.9 million for the year ended December 28, 2013. The Company repurchased 414,000 shares in 2013 for a total investment of $18.1 million. The Company ended the year debt–free, with a remaining share repurchase authorization of approximately $13.6 million.